what i did this evening. | everything will turn out alright. after a long afternoon at work i came home and made homemade pickles. 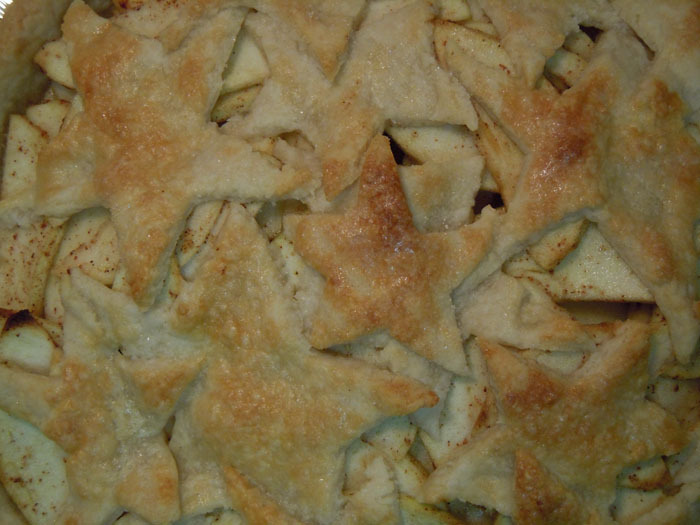 i also made an apple pie with a super special star top crust! so NOT gallbladder friendly. sigh. there’s always next year. now i’m ready to relax with an ice pack on my ribs for the rest of the night. i think i’m still learning how to s l o w d o w n. i hope all you americans have a very happy 4th. i’ll be chilling out at a friend’s backyard cookout. what are your plans? I’m a new follower from Top Baby Blogs, by the way! I am a stereotypical pregnant lady when it comes to pickles! Thanks for stopping by! um, nesting much? hahaha. everything looks so yummy! 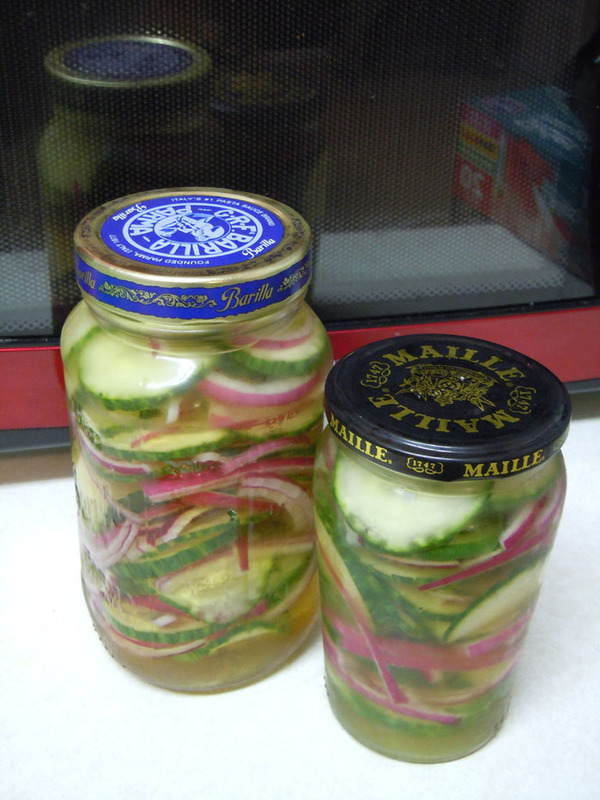 you should share your pickles recipe! hahaha. probably! the pickle recipe is super duper easy. whisk the vinegar, water and sugar together until all the sugar dissolves. pour over the cucumbers and onions, refrigerate overnight. they will keep at least a week in the fridge, but they never last that long at our place! Yummy! Two of MY favorite things to make and eat! I live the stars!!!!! So creative. We spent the 4th with Kevin’s parents- we went for a gondala ride up the mountain at Stowe and saw fireworks at Smuggs. The ski resorts are so fun even in the warm weather! Hahaha. Thanks! I got a little bit Martha Stewart that day. 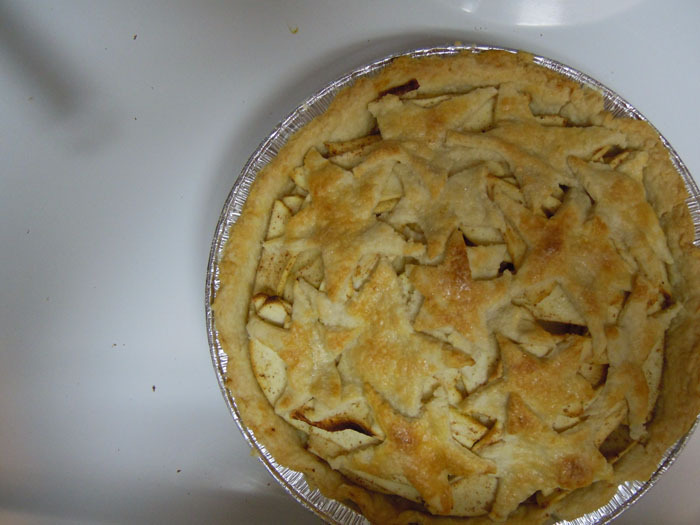 The pie looked so yummy. I had the tiniest piece of it so it wouldn’t upset my gallbladder. Your fourth sounds amazing. I’m sure Vermont is beautiful all year round. I miss you, too! We both do.